Some of the best and most authentic Greek food outside of Greece was one of the comments made to me about Brika, one of Perth’s newest wine bars. Apart from excellent food, they champion the wines of Western Australia and Greece. So there was no better place to kick off the Australian Roadshow for Amyndeon Oenos, PGI Epanomi and Gaia Wines. Hosted by Brika and the Perth chapter of Sommeliers Australia, we are grateful for the enthusiasm of everyone who attended on the day. Fairfax media have done a fair bit of streamlining over the past couple of years as it works hard to remain at the forefront in a rapidly evolving internet age. One of the results has been the consolidation of it’s food & wine publications under the good food banner. They are responsible for the good food guide, good cafe guide, good pub guide and the most exciting one [for us] the good wine guide. It has been written & curated by Nick Stock who is one of Australia’s most prolific writers, his style is both entertaining & succinct. 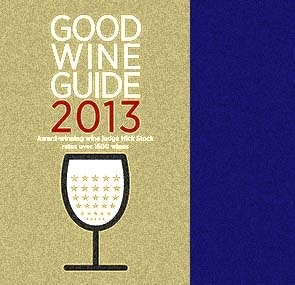 So we’re more than pleased that a selection of our Greek wines have been reviewed for this years edition. *Our calculations actually have this sitting at around $28 per bottle RRP.